Who Is the Citi / AAdvantage Executive World Elite MasterCard Good For? First and foremost, the Citi / AAdvantage Executive World Elite MasterCard is for people who travel a lot. If you’re a business traveler on the road several times a month, the hefty $450 annual fee might not phase you, especially considering the benefits that come with it. Some of the more useful perks include a generous sign-up bonus, Admirals Club membership, 10,000 Elite Qualifying Miles (EQMs) when you spend $40,000 on the card in a calendar year, car rental insurance, and a personal concierge service that can book flights, hotel rooms, and restaurant reservations for you as well as track down the perfect gift or tickets to the hottest concert. There’s also no mileage cap on the card, so there’s no limit to the number of AAdvantage miles you can earn each year. If your monthly credit-card spend is high and you travel often, this could be a solid credit card to carry in your wallet. The standard sign-up bonus for this card is 50,000 AAdvantage miles after spending $5,000 within three months of opening your account. When the card made its debut, Citi offered a 100,000-mile sign-up bonus. The offer lasted for six months and is not currently available. A 75,000-mile sign-up bonus surfaced soon thereafter, but also disappeared quickly. Credit-card-issuing banks change their bonus offers all the time, so it pays to check what the current bonus is before signing up for the card. American Airlines is part of the oneworld alliance and also has a variety of partnerships with airlines that are not part of oneworld. That means you can get just about anywhere in the world using your AAdvantage miles. Oneworld partners include airberlin, British Airways, Cathay Pacific, Finnair, Iberia, Japan Airlines, LAN, Malaysia Airlines, Qantas, Qatar Airways, Royal Jordanian, S7 Airlines, SriLankan Airlines and TAM Airlines. Other American Airlines partners include Air Tahiti Nui, Alaska Airlines, Cape Air, EL AL, Etihad Airways, Fiji Airways, Gulf Air, Hawaiian Airlines, Jet Airways, Seaborne Airlines and WestJet. American also offers a robust online booking engine so you can often make your award reservations quickly and easily with just a few clicks of the mouse. When booking online, you can see flight options for American Airlines as well as partners airberlin, Alaska Airlines, British Airways, Finnair, Hawaiian Airlines, Qantas and Royal Jordanian. You’ll need to call the AAdvantage desk to book awards on other partner airlines. Make sure there’s activity in your AAdvantage account, including miles earned from a flight, shopping through the AAdvantage eShopping portal, or participating in their dining program. Otherwise, your miles expire in 18 months. American Airlines offers off-peak awards that can save you some serious miles. For example, flights from U.S. cities to Paris can run $1,029. Instead of paying cash you can use 45,000 miles for a round-trip ticket to the City of Light. That nets 2.6 cents per mile in redeemed value. Using AAdvantage miles to redeem for premium-class seats on long-haul flights can net an even better value. Consider jetting off to Tahiti on partner Air Tahiti Nui, to Bali or Hong Kong with partner Cathay Pacific, the Maldives or Abu Dhabi with Etihad Airways, or Tokyo with Japan Airlines. 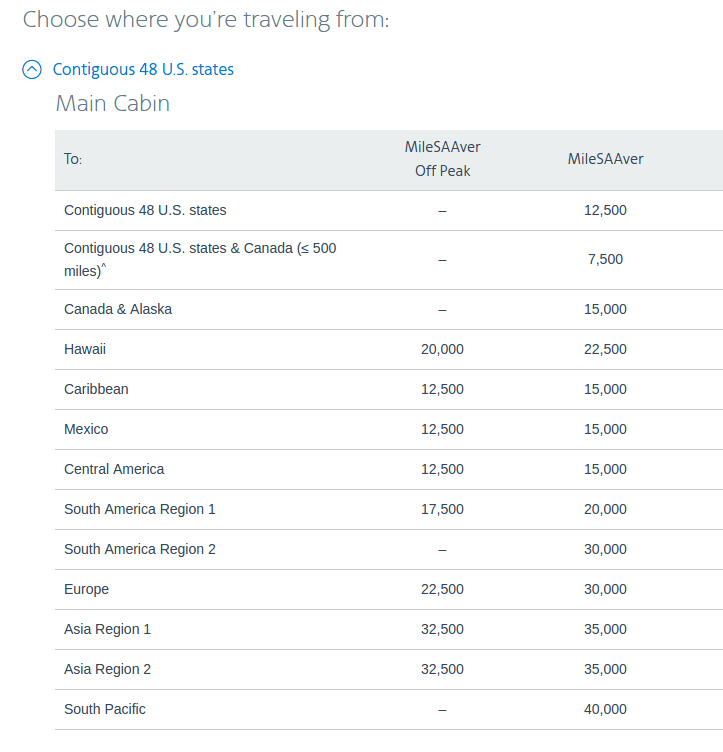 A round-trip first-class Cathay Pacific award from the United States to Bali costs 220,000 AAdvantage miles. If you paid cash, you’d shell out about $10,839 round-trip for the same flight. That redemption is an 8-cent per mile value. Of course, most of us would never dream of spending $10,000 on a plane ticket, but it’s a fun exercise to see what you can redeem your miles for.